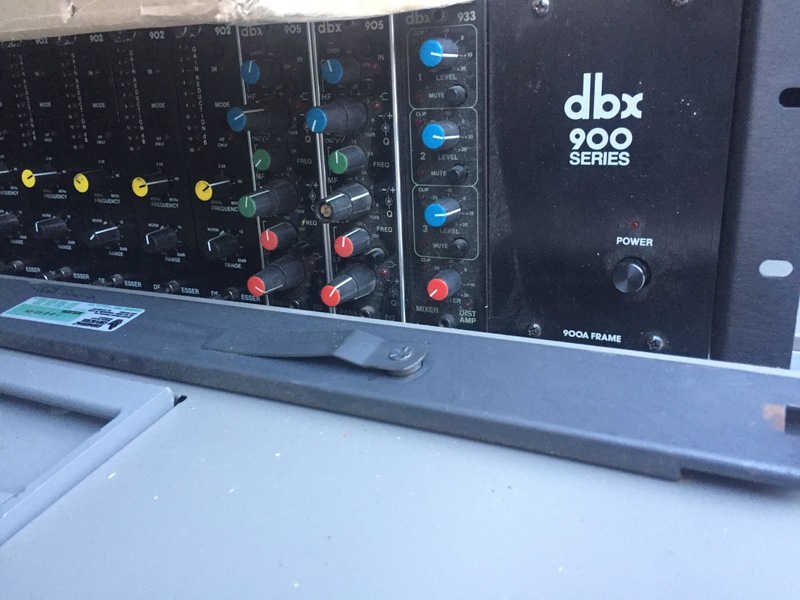 This 900 series rack and 3 modules to the far right (2 EQ modules and mixer) is being sold as is for parts and needs repair. Similar to a 500 series rack except older stuff. I own one that I am keeping and bought this one just for some modules. 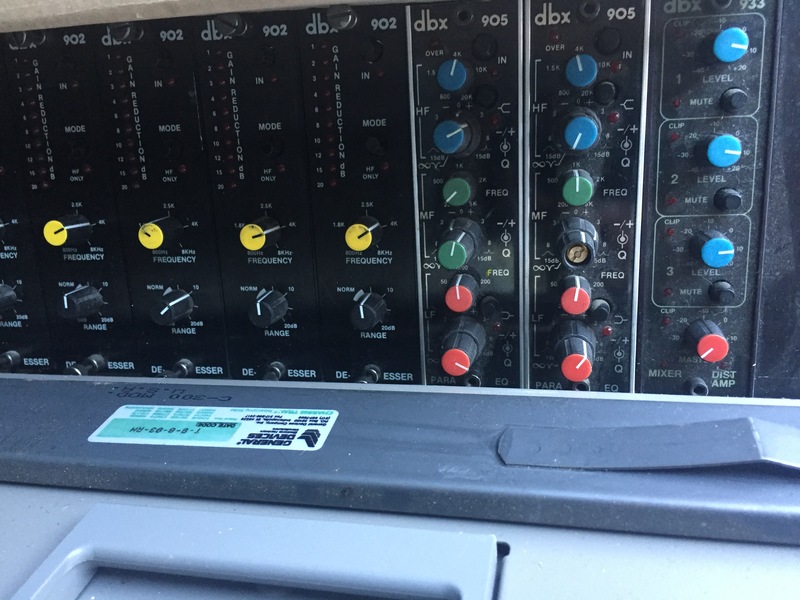 It is being sold as the rack and the 3 modules to the right (2 905 EQ modules and one 933 mixer module). The first several De-Esser modules are not included in the price below. The 902 De-Esser modules all work perfect and were just put in this rack for safe storage. They are being sold separately per each. Price for 902 De-Esser modules $100 each or $75 each if you take them all. I would be open to a trade for De-Esser modules for other known working compressors or EQ modules.